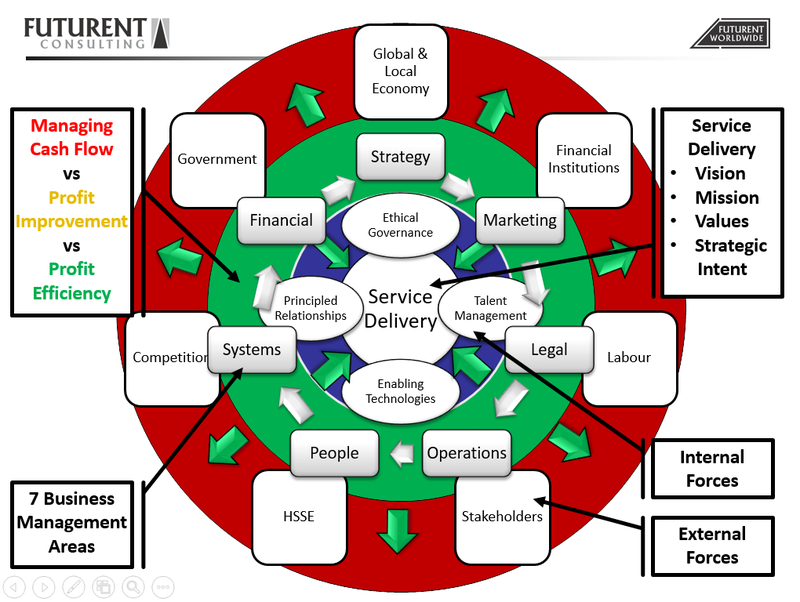 The Industry Business Model can be customized for any industry, segment or sector. We have been using this Business Model as the backbone of our approach to support the industries we work in. Even if you have been in business for decades it provides a “big picture” view of your business and the industry you trade in. As you can see, the business model provides an excellent starting point for a variety of scenarios. From here, we can assist you to better understand your business and support you to see gaps and opportunities that were previously hidden.